How to Take the Perfect Disney Cruise! One of the most Magical Disney Vacation destinations is the Disney Cruise Line. With 4 different ships and several different ports of call, Disney Cruises take the word "Magical" to a completely different level. 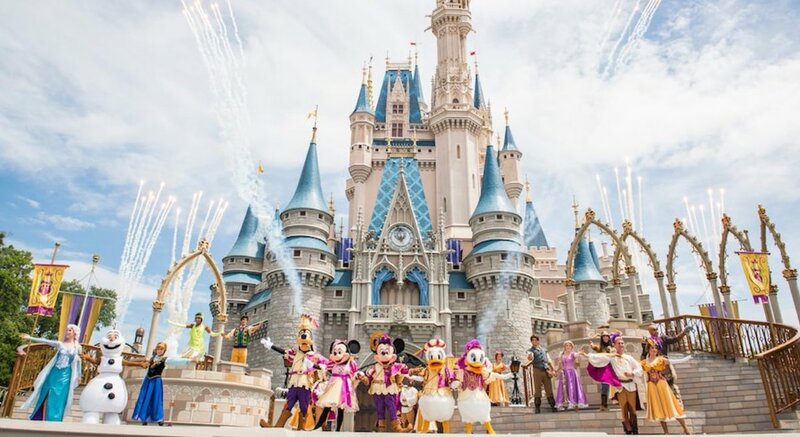 While cruises can often be very affordable options for vacations, Disney Cruises can be very expensive for an entire family. That's why we've put together this guide for How to Take the Perfect Disney Cruise! If you follow these loose guidelines, you can make sure you're taking full advantage of the experience, and you'll make memories that will last a lifetime! What to Do Before Taking a Disney Cruise? One of the most important steps to take before getting on the ship and beginning your voyage is to sign up for all of the activities that interest you as soon as possible. Activity signups fill up super fast, so you'll want to make sure you do this as soon as you can begin booking your spots. The activities range from Kids to Adults, so there's always something for anyone in the family to enjoy! However, if you don't manage to get signed up for something you're interested in, check-in with Guest Services aboard the ship and they may be able to assist you! Another great step you can take to prepare is to join the Facebook group Disney Cruises for Junkies, or one of the many other available groups. Most often, the folks in those groups are very experienced and have been on many cruises. They're usually very helpful and can answer your questions or even give you suggestions for what to do aboard the ship! If you're flying down to Florida for the trip, make sure to book an extra day for travel so you can wake up and make your way to the Port. Rather than rely on everything going super smoothly on the day the ship leaves, getting off the plane in time and making it to the ocean, it's so much easier to simply stay the night beforehand and head out in the morning. Here's another quick "Cruise-Hack" for you to try: Prepay your gratuity charges ahead of time! If you call ahead, you can prepay for all of the gratuity charges that you'd incur on board the ship. It's $13.50 per person, per day. This will help you to budget the cost of the trip and make sure that you've got all of your finances in line ahead of time! Do you have a bunch of Disney gift cards from friends and family members? Add them to your Cruise account! You can either call ahead and redeem them or bring them to Guest Services once you're on board, but this will allow you some extra spending money while you're on the ship shopping or enjoying meals that you have to pay for. Finally, download the Disney Cruise Line Navigator app for your smartphone. Up until your trip, it's really just used for a super cute countdown, but once you're on the ship, it's invaluable. It has all of the information on every activity that's happening on the ship while you're there, and it lets you know which activities you have booked, dinner menus, Drinks of the Day, and more! Also, it provides a "texting" function that allows you to communicate with the other members of your party, which is great because there's no phone service while you're out at Sea. From the moment you arrive at the Port, take it all in. As we mentioned, there's a reason that Disney Cruises are more expensive than many of the other cruise lines. 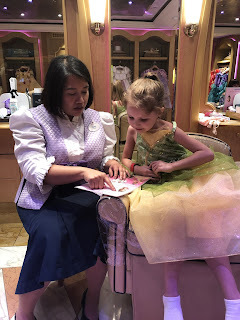 Disney puts the same level of attention into the Cruise experience that they do at the Parks, so you can expect a full-fledged Magical experience right from the top! Take pictures, film videos, meet characters - do it ALL! It's all worth it. If you're bringing the whole family, expect not to see your children very much! The Kids Clubs and Teen Centers aboard the ships are loaded with fun activities and have a full schedule - they're the perfect place for your kiddos to get a piece of Disney and you can trust that they're going to be in great hands! When it comes to dining on the ship, there are a ton of options for food. Many of the dining options are included in the cost of your vacation and require no additional dress code or special attire. Simply walk-in, sit down, and enjoy the delicious food! There are also options for fancier dining, where there is a dress code and an added cost to the menu options, but if you allow for one night of this style of dining it is so worth it. The experience is breathtaking and the food is delightful! Finally, take a look at the excursions that are available once you're on the ship if you didn't book them ahead of time. They fill up quickly, so don't wait too long to get started. If you choose not to take any of the excursions, there is something nice to being on the boat with fewer people aboard. It's far quieter and some of the activities on the ship are more available. 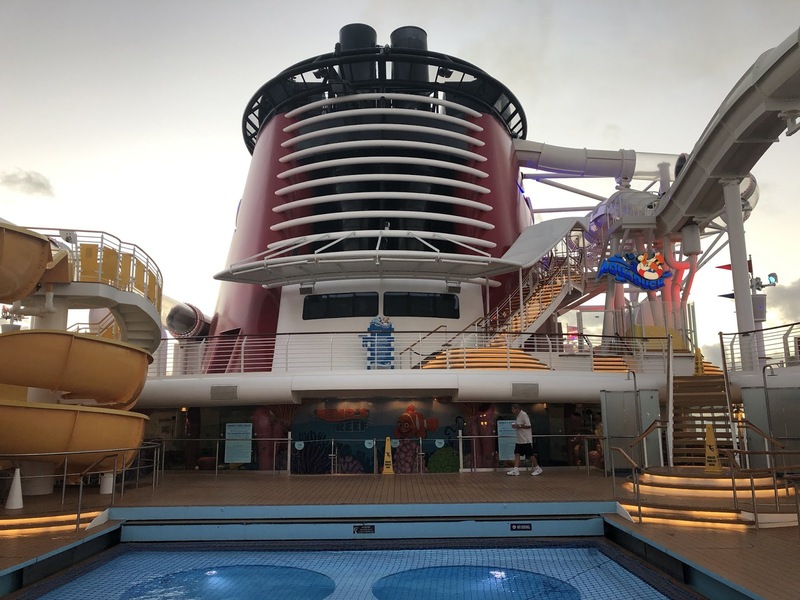 Here's our take, if you're kiddos don't like rides or are afraid of that kind of thing, or if you're claustrophobic in crowds but still want the Disney experience, Disney Cruises were made for you and your family. The cruise is a more intimate experience and there's virtually no wait to meet characters and interact with them. Like the Parks, the Cruises are immaculate and cleaned regularly, so your experience is constantly refreshing. Finally, if you want to take a combo trip, that's available, too! You can spend a few days at the Parks and head out on a short Cruise afterwards! Let us know in the comments if you have your own Tips and Tricks for Disney Cruises! We'd love to hear them! Until then, have a fabulous day and Stay Magical!